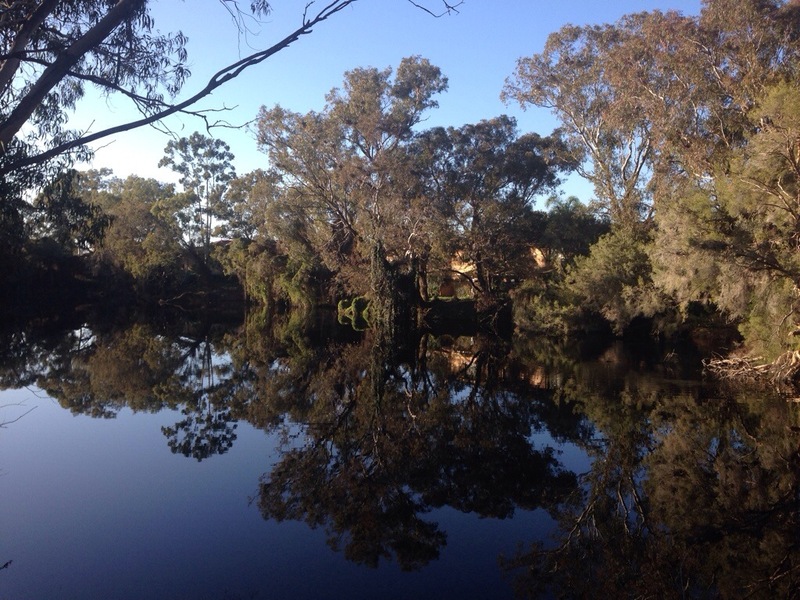 You’ll find Piccos in Maylands, on Peninsula rd, with this wonderful view over the river from the carpark. Maylands is one of our haunts and we didn’t realize there were brunch locales beyond the main Eighth Avenue Strip so we were excited to try it out. 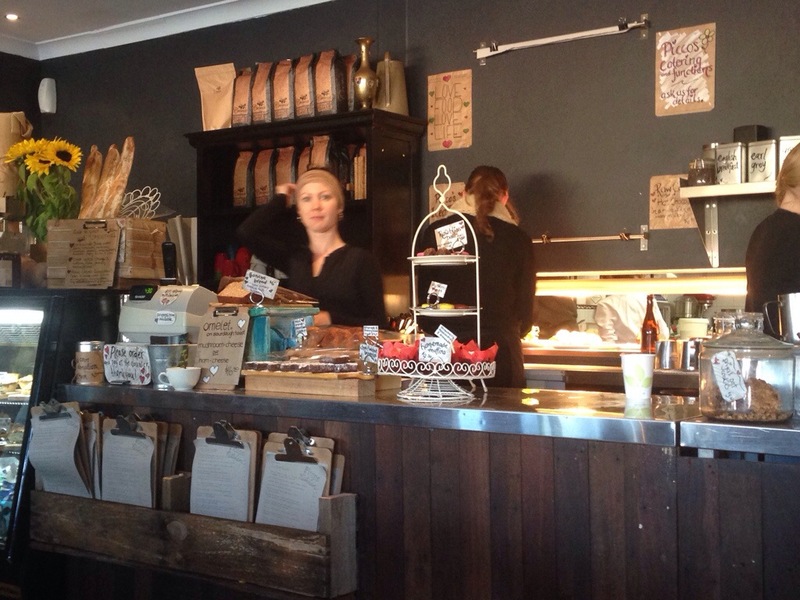 The cafe is nestled in a little hub in the middle of a suburban area with an unassuming exterior. Inside however is a different story. It’s warm and welcoming, a little vintage, a little quirky. It was frequented by a mix of locals and those like us who looked like they went a little further out of their way for their breakfast. Orders are placed and paid for at the counter, which also happened to be loaded with yummy things like fresh baked bread as well as some beautiful flowers. 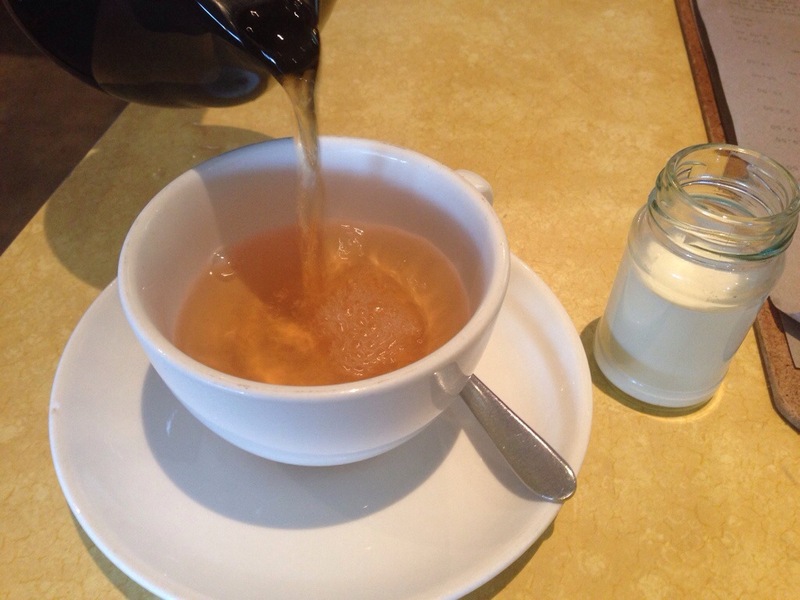 We started with some drinks, including a nice English breakfast. The coffee here was full bodied and a nice temperature, but the latte art could have been a little more polished. It was a quite enjoyable coffee, above the average you tend to find at suburban cafés. 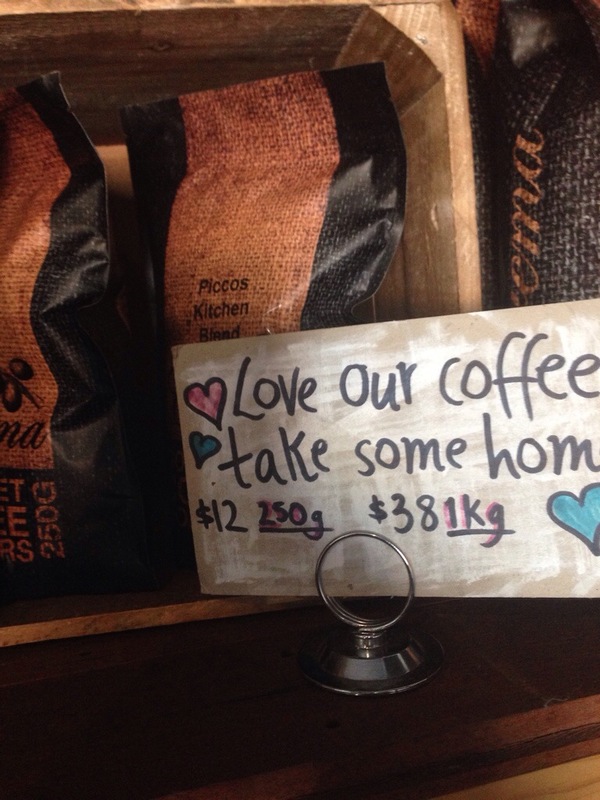 You can buy their blend to take home with you. 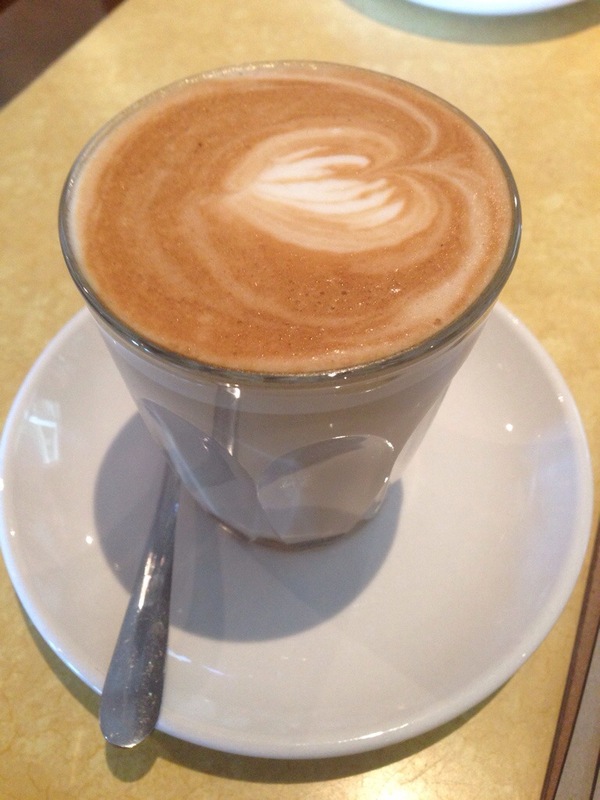 On my way out I had to grab a takeaway latte, enjoyable and consistent with my dine in experience. Theres a fair amount of choice on the menu when it comes to food, and there’s also a special kids menu for families dining out. The pick of the meals was definitely the Brie bacon butty. It was man-sized and loaded with flavour. BBQ sauce, soft Brie and gooey yolk oozed out the side as you bit down. 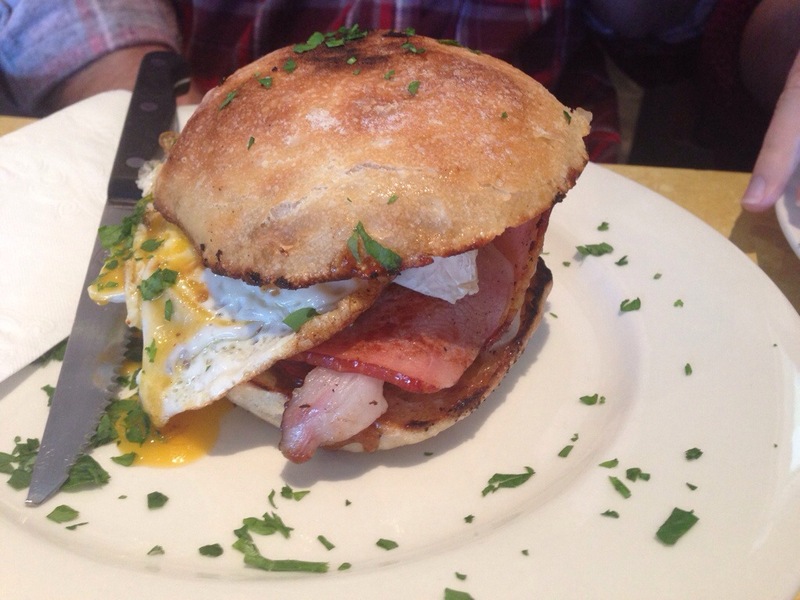 A mouthful of cheesy, bacon-y, eggy goodness, no cutlery required. Have a boyfriend who isn’t keen on Brunching? Feed him this! 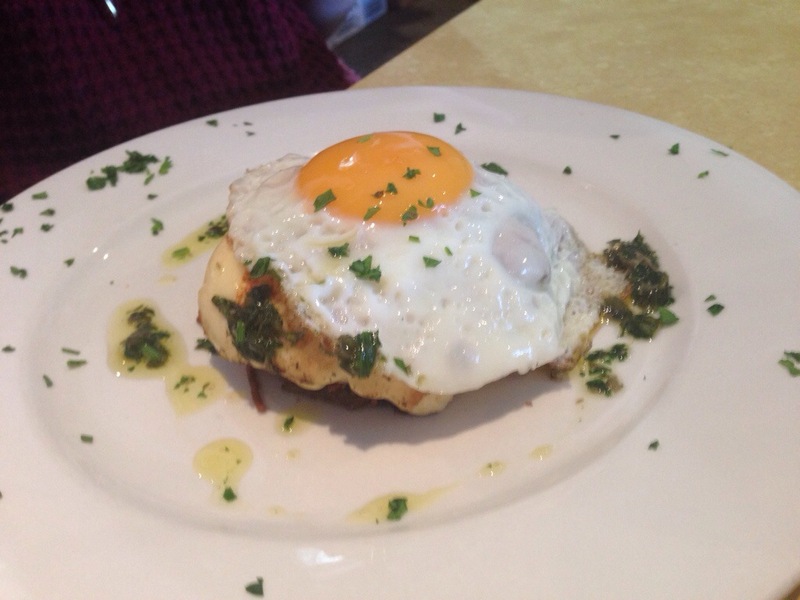 While I didn’t get to taste it, we also had the potato rosti served with fried egg. The best part of this dish was the fried haloumi, hot and a little oozing. From all accounts this meal was heartily enjoyed. Another great things about Piccos is that they sell plenty of food to take home with you. This includes things like hearty curries, and other ready made meals as well as this wonderful poached pear terrine. I couldn’t help but grab one to have at home, and yeah it was as good as it looked! 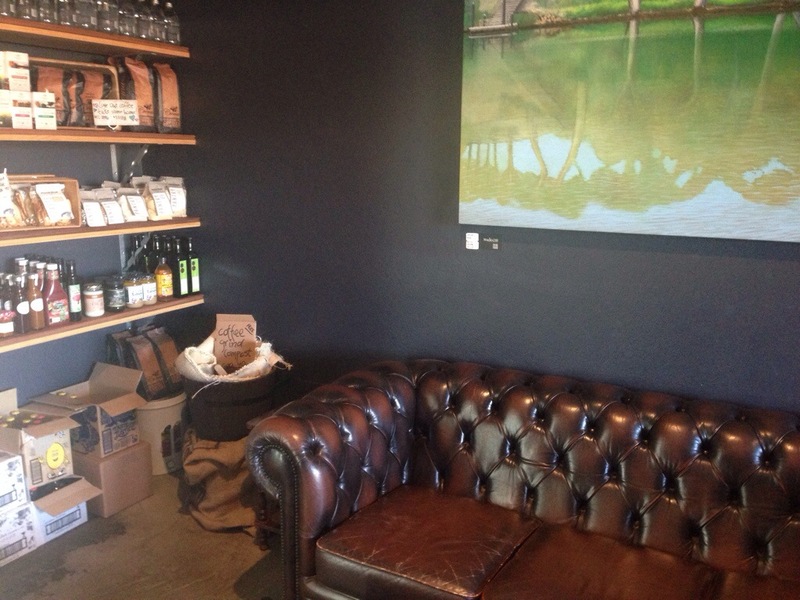 Piccos is a really lovely spot in Maylands, and though we’re no longer locals we’ll have to come back for another Brie and bacon butty! great review for piccos. 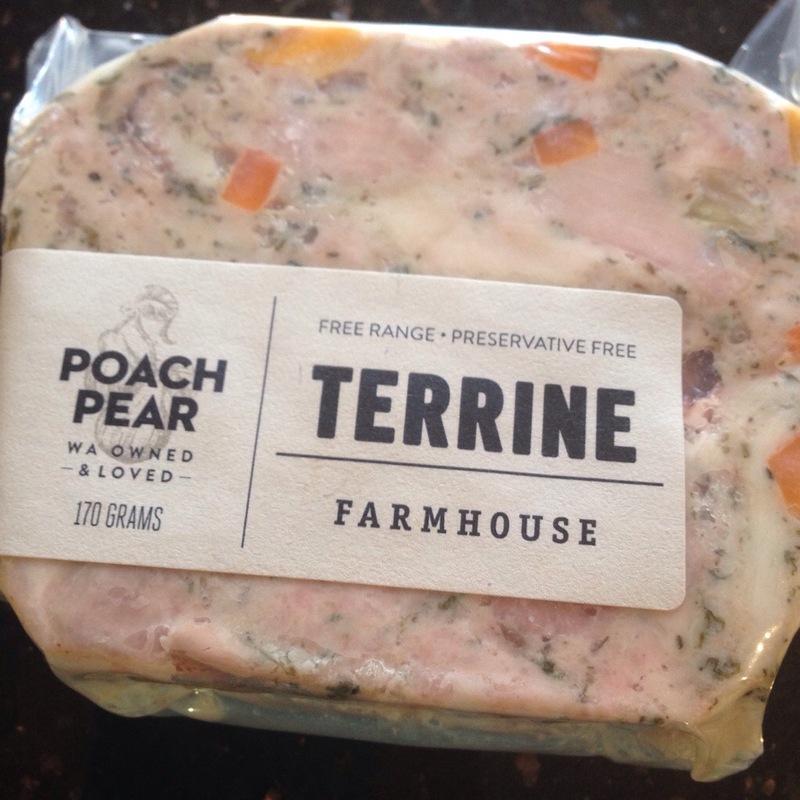 so glad to hear you enjoyed our farmhouse terrine by poach pear. hope you get to try our other great products including our pates and rillettes.